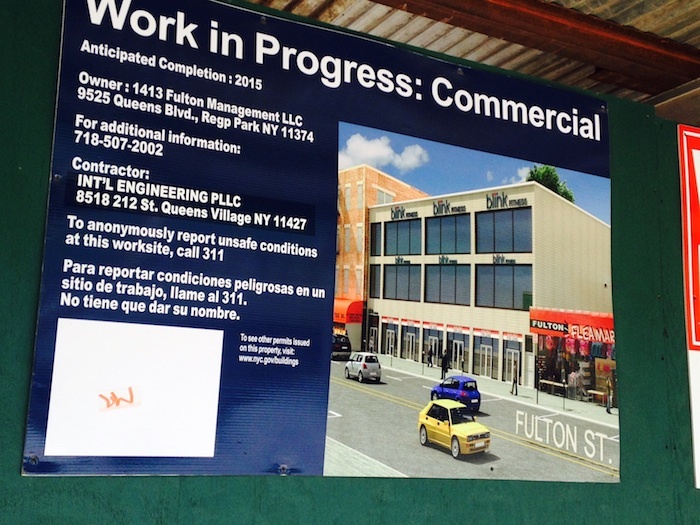 There’s a three-story commercial building now under construction at 1413 Fulton Street, between Marcy and Tompkins. 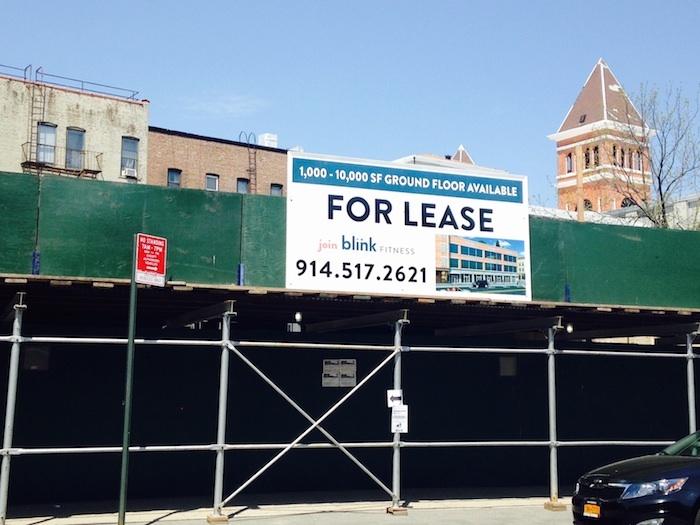 A Blink Fitness will occupy the upper levels, but the owner is still looking for retail tenants for the ground floor. 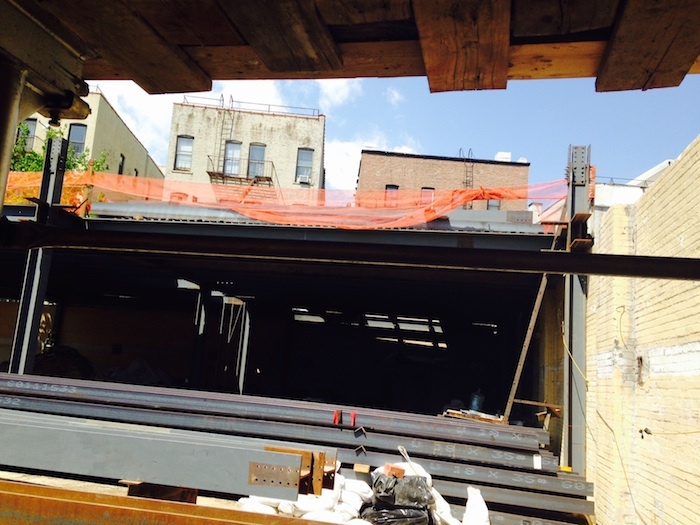 There’s up to 10,000 square feet of space available. Here’s a look behind the construction fence. According to Brownstoner, construction started up in early March. Seems like they have made quite a bit of progress since then. Work is expected to last through this year. Hi! First of all, big fan. Thank you for keeping track of all the comings, goings and developments of our great neighborhood. Question: any updates on this construction? I haven’t seen any work (or even workers) done recently and it doesn’t seem to have progressed much at all since this post was put up in May. Any idea what the hold up might be? Thanks in advance for anything you can find out!